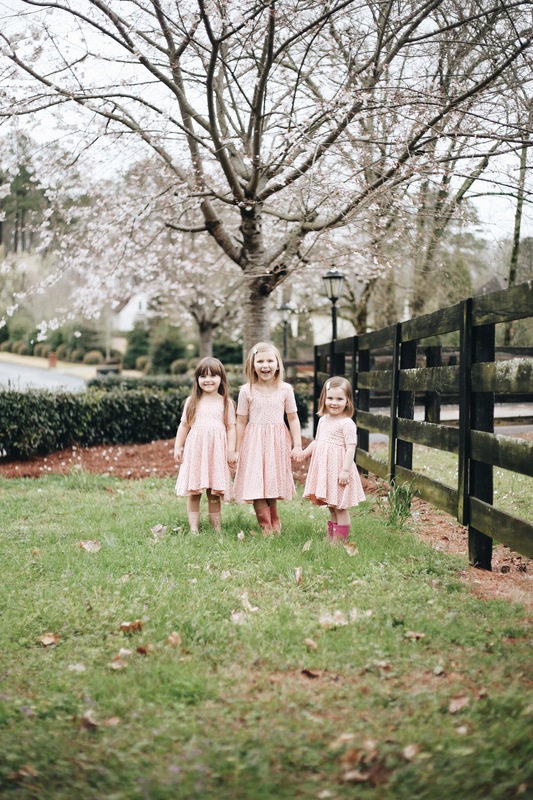 It’s been forever since we’ve done a sister snapshot on the blog, and every time I look back to read old ones I am so happy I took the time to do them! I haven’t posted as much about the kids on here as I used to, and that is intentional, but I never want to keep them completely out of this space since obviously they are my whole life. 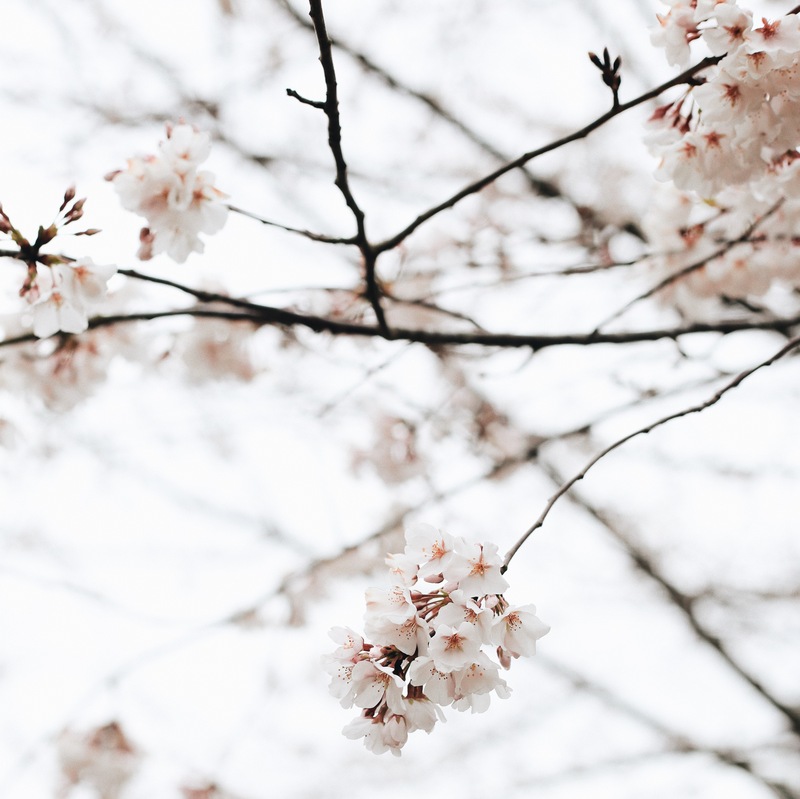 It is freeing to keep my work so much more separate from my family these days, while we pursue lots of other things (both on and off the blog) and I really love being able to take breaks from social media. Lots of fun things happening very soon, but for now, I thought I would share a little update of the girls at their current ages & some pictures from our rainy day walk! I will never get over how beautiful the cherry blossom trees are here!! Harper (6 years old!) – Wants to be a singer when she grows up, loves cooking shows & blows our minds daily with her art skills. She is always drawing, and writing little stories to go along with things, she even finds a way to get a piece of paper and pencil if she is in time out to tell us how unhappy she is about it. 😉 She is still the leader of the pack & sets such a good example for her sisters, although we are getting to a place where she definitely needs one on one time with us where she doesn’t always have someone asking her to play school or draw things for them. She loves kindergarten, although she is exhausted at the end of every day. She always wants to help in the kitchen or help me with projects I am doing. My forever bestie. Her heart is gold & her imagination is wild! Eloise (almost 4!) – Always dancing, still obsessed with babies (both real & fake) and never wants to change out of pajamas. She has always been the funniest kid, she is bouncing off the walls almost all the time and still rocks herself to sleep every night. She is constantly singing (all of her school songs are the cutest!) and makes up songs about almost everything. She still calls her bangs “fangs” and hates getting her hair brushed. She loves trying to keep up with Harper’s schoolwork, writing sight words or telling us to ask her math problems, she can’t wait to go to school with Harper again! She is definitely the most like me in almost every way except her crazy amount of athleticism, we are positive she will be an olympic gymnast some day. And just like the day she was born, I basically want to squeeze/snuggle her every second of the day. Hope you all survived daylight savings, here’s to early bedtimes and a happy Monday tomorrow! Great update! Girls are growing like weeds! My daughter is 5 and loves to read and write stories and draw constantly. 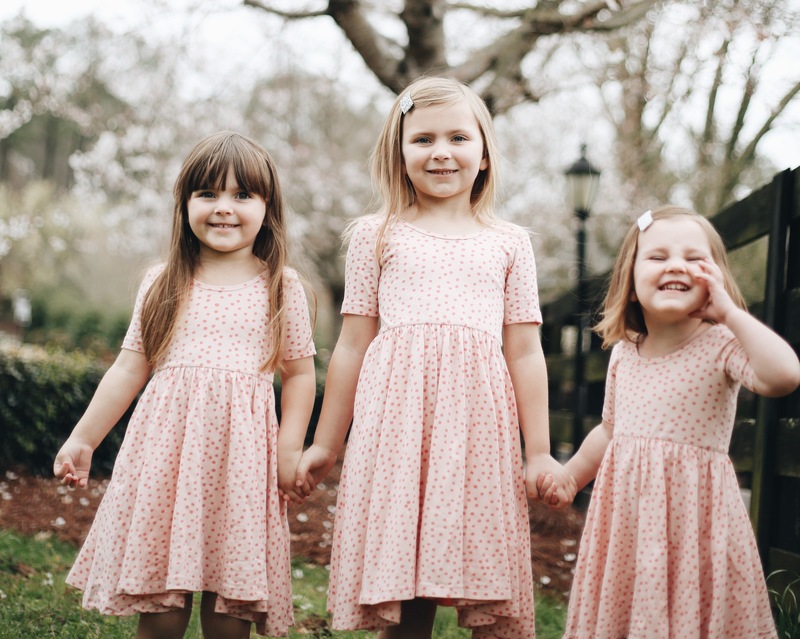 They are the most precious girls! Oh my goodness Claire is a mini-Harper!!!! They are all so cute!!! 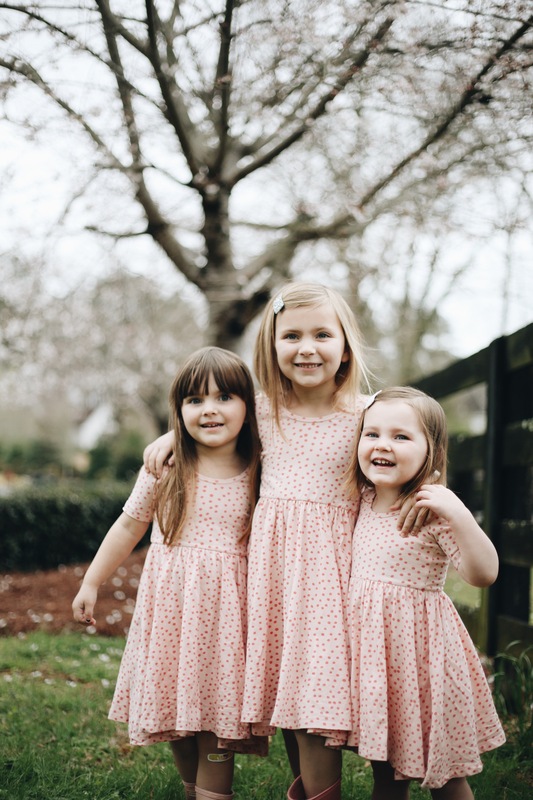 I love reading this little updates as my three girls are all about the same age (almost 6, 4 1/2, and 1 1/2!). Mine are so similar to yours!! Birth orders must be true, haha! My oldest is so sweet and sensitive, and also SO good at artwork!! My middle is feisty and fierce and tiny. We also think she’ll be a gymnast!!! And my baby is what we call the “forever baby.” She LOVES being the baby of the family and I swear wants to stay a baby forever. She’s 17 months and STILL. NOT. WALKING. Haha, we sure love her!! Thanks for sharing the updates!! Hope you have a wonderful day! Just darling! Each one of them. Hard to wish even the trying moments away. My son (now 3.5) had quite the temper (pops through every once in awhile still) during the terrible twos. It made me feel horrible not being able to control or help with his emotional outbursts. Now he’s a goofy, silly, rambunctious boy that makes me laugh on the daily! Time flies with these little ones. Enjoy! For some reason (prob bc my son is the same age as Claire), the part about her asking every question with her eyes closed cracked me up! My 2 yr old is so expressive and funny like her, he loves making us laugh & loves our dog- must be a younger sibling thing! Love your girls, thanks for sharing. Oh I love these types of posts. Your last one reminded me of my girls (ages almost 6 and days shy of 4) but this time … Nope not a whole lot is the similar – so funny right? My girls (and son) are the light of my life and I love getting to see them grow (though I’d prefer it not happen so quickly). Your girls seem to be so much fun! I love reading these posts! Mainly because it reminds me to do these with my girl (soon to be girls!) They’re the cutest! Oh my goodness, your girls are adorable! 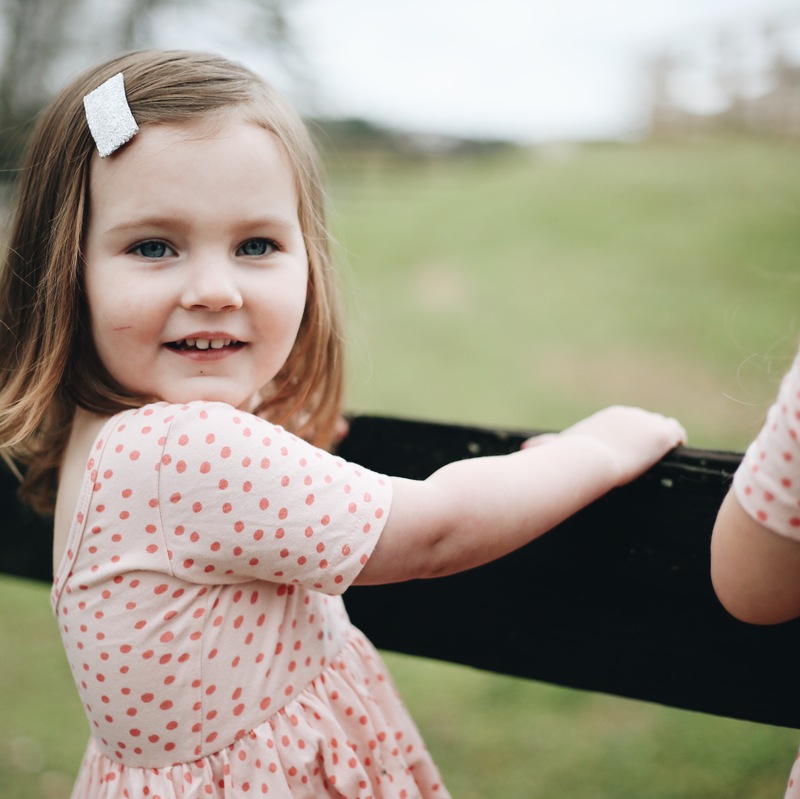 My 2 little girls keep me busy – so its wonderful to read what other mum’s are up to! On a side note, your photos are AMAZING! Can I ask what camera you use please? Jess! These pictures are AMAZING! What settings was your camera on to capture that blur?! !